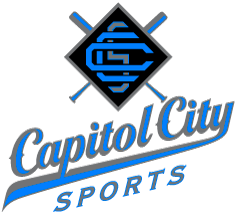 Our mission at Capitol City Sports is to help each individual reach their highest potential at every level of play. The staff at CCS is dedicated to creating an atmosphere where all ages and skill-levels can prosper. As former professional baseball players, we will share our passion for the game, the key to being a successful athlete, all while using state of the art equipment. Our goal is to make each individual a more confident player in a pressure-free, low stress environment. Fundamentals, discipline, dedication and respect for the game will lay the foundation for a well-rounded athlete on and off the field. We will make it our priority to instill each one of these components all while including the most important, yet often forgotten element … FUN! What you take from CCS will not only translate to the game, but in everyday life. Let’s get to the next level together!